Volunteers are needed to help with mass. Serve as a greeter, lector, song leader, gift bearer, or Eucharistic minister. calls or author a letter or email to your classmates? Class agents assist in gathering classmates together to make the weekend the best celebration possible. If you have a few hours to spare, please call Lauren Gorney at (570)674-6228 or email lgorney@misericordia.edu. We invite all Misericordia University Alumni to return to campus for Alumni Weekend. The event is full of fun activities. We know you will enjoy time on campus and make new memories with alumni from your era and others. Should you have a question, please contact our Alumni Office at (570) 674-6764 or toll free at 866-262-6363 (option 3, then 4). Join your classmates for an exclusive luncheon to honor the 50th reunion Class of 1969 as they are inducted into the Golden Anniversary Club. Meet new people, catch up on old conversations and begin new ones. The classes of 1969 and earlier are invited to dine together and celebrate. For some, this may be a trip down memory lane. For others, it will be an opportunity to experience a changed Misericordia, set on the same memorable campus. Registration required. All alumni are invited to participate in this open session of the board. Registration required. In this fast paced, plugged-in world, stress can become an unwelcome companion. Join Drs. Brenda Hage and Catherine Zurawski as they explore some time-tested, natural stress relievers that you can use to calm the worried mind. During this hands-on session, you will be able to help make and sample herbal teas and aromatherapy sachets. Registration required. Unleash your inner artist! Local Art n’ Vino instructors will provide stroke-by-stroke instructions that will show you how easy and fun it is to paint. No experience required. Materials and vino included. Space is limited. Registration required. Celebrate the weekend with a selection of great food, great drinks, and most of all—great company! Registration required. Back by popular demand, our President, Dr. Thomas Botzman, is offering his very own personal tour of campus. Join us on a gentle walking tour guaranteed to include the timeless treasures and hidden gems of our university. Participants will learn about mindfulness as an approach to life and as a tool to create more connection with self and others. In addition to learning about mindfulness itself, participants will learn some simple practices that can enhance the quality of life, bring greater awareness to the power of choice, and encourage a deeper appreciation of their everyday lived experience. Registration required. 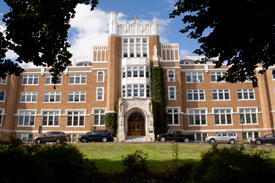 Join Dr. Botzman for his annual reunion address with alumni. Bring your questions. Registration required. Raise your glass and celebrate Alumni Weekend! Enjoy an afternoon filled with conversation (and a little education) while tasting wines from around the world. We are proud to feature Vice President of Academic Affairs, Dr. David Rehm, who will host the event and introduce both well known and less-known grapes and wines. 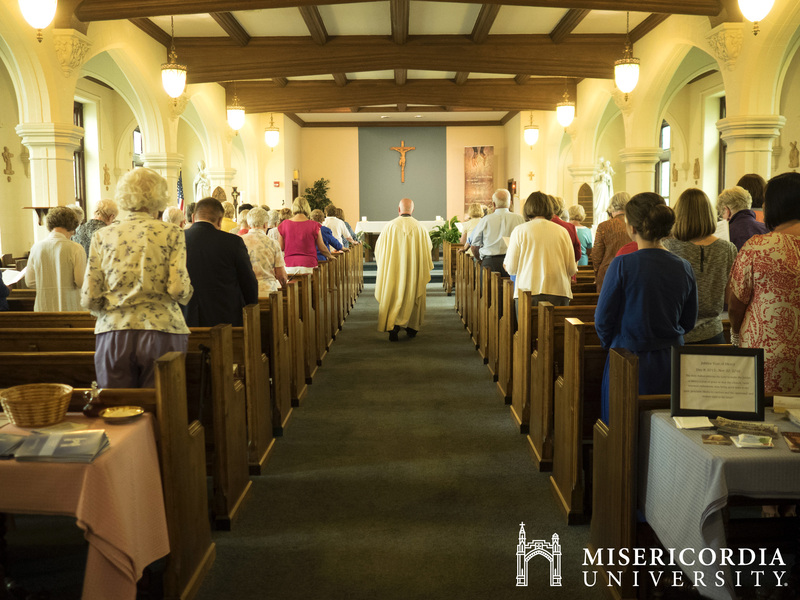 Enjoy a traditional Misericordia Mass dedicated to alumni who have passed since last year’s alumni mass. Volunteer to serve in various capacities: lector, gift bearer, musician or greeter. To volunteer, please email jnat@misericordia.edu or call (570) 674-6764. Sandy and Marlene Insalaco Hall Celebrate the weekend at a reception with great food, great drinks, live music, and most of all — great company! Registration required.